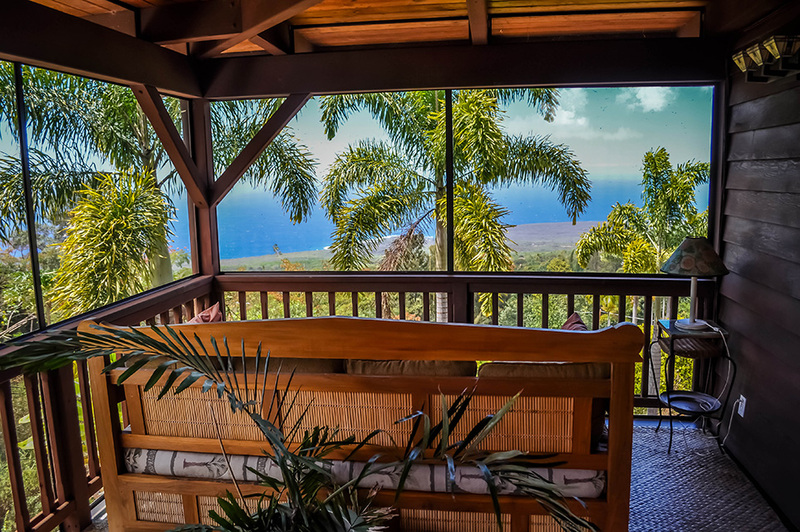 The Halawai, or Horizon Room, offers you a spectacular view of the South Kona coastline including Kealakekua Bay, the Captain Cook Monument and the Place of Refuge at Honaunau. 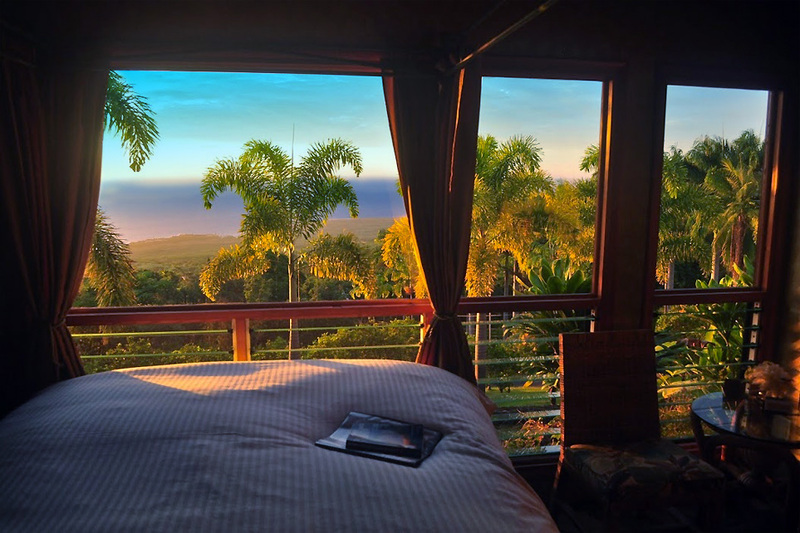 We placed our Queen-size canopy bed right onto the window, so you can enjoy nature’s beauty as if you were floating in the clouds. Relax in the custom glass block shower while multiple jets cleanse away sea salt and beach sand. Even though we have amazing restaurants here in South Kona, should you decide to stay home and prepare a meal in our shared guest kitchen, you can dine in the peaceful and spacious shared lanai just outside your door. $200 USD per night for two adult guests which includes a generous organic gourmet breakfast.